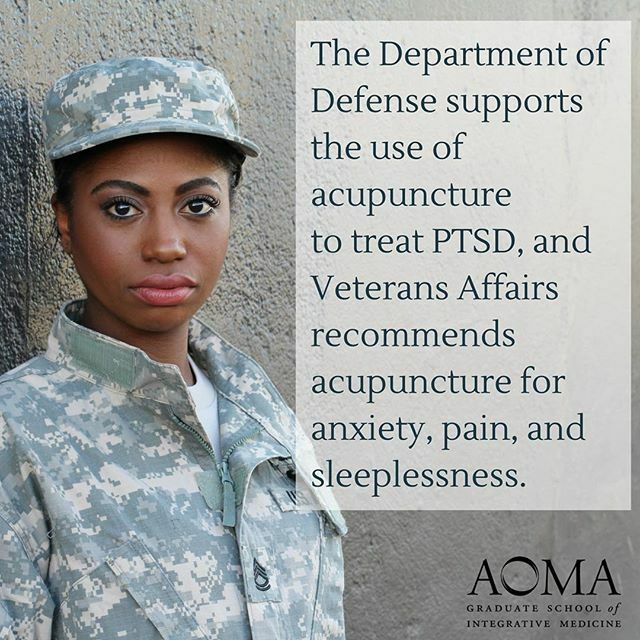 We're happy to report that acupuncture has been helpful to many Veterans who have defended our country, deserve and need the support. Veterans in this country have served bravely and suffered for it. Sadly veterans often return from service with traumatic brain injuries, chronic pain and post-traumatic stress disorder (PTSD). Acupuncture has been effectively used to help relieve many of the debilitating symptoms veterans suffer from with success. On June 8th, 2017 a new bill called "Acupuncture for our heroes" was introduced into the House of Representatives. If passed, it would mandate the development of a program to provide access to acupuncture through the Department of Veteran Affairs. Numerous returning veterans have already received acupuncture to help with PTSD and pain relief. The new bill would make acupuncture more accessible to Veterans in both urban and rural areas. Let's hope it passes! Acupuncture has also been used abroad by the military. In 200 cases, in Baghdad, after the cesarean birth, due to drug shortages, acupuncture was used in lieu of oxytocin. In 2010, The U.S. Department of Defense gave the New England school of acupuncture a $1.2 million dollar grant to fund a clinical trial on the effectiveness of acupuncture in the treatment of Gulf War Illness (GWI).